Over time the structure and appearance of our teeth can deteriorate, and if ignored can cause a range of issues such as tooth sensitivity, poor bite (resulting in difficulty in chewing), chipped or broken teeth, and TMJ (Temporomandibular Joint Disorder). In order to successfully restore worn dentition and maintain the teeth, one must first gain insight into how the teeth arrived at the state of destruction. Here at the Wentworth Clinic we perform an evaluation and diagnosis which takes into account a patients diet, history of eating and gastric disorders, as well as the current state of occlusion or bite. Research has shown that these mechanisms rarely act alone and are nearly always a combination of the processes. 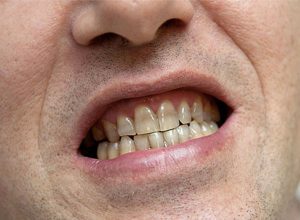 Once a complete understanding of the aetiology (cause or causes) of the dentitions present state is diagnosed, a detailed restorative dental treatment plan can then be formulated taking into account the number of teeth to be treated, space availability (within the mouth), the vertical dimensions of the occlusion, and the choice of treatment material. Our worn dentistry treatments include crowns, bridges, veneers, etc. To find out more about our restorative dental treatments or book a consultation, please contact us at Wentworth Clinic in Bournemouth on 01202 428773. Alternatively, you may complete our online contact form and one of our staff will respond to you shortly. How much does it cost to Restore Worn Teeth? A detailed private consultation will help us better understand what type of procedure is required for your particular needs. Call today to book your appointment.